Millions of WhatsApp users in India can now start sending money to reach other. The Facebook-owned messaging app has rolled out a beta version of the new feature which allows peer-to-peer payments. 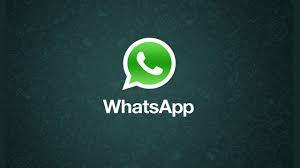 According to top sources close to the development, WhatsApp has partnered with some brands for the payment facility. The payment feature is based on the UPI platform. To use the feature , as of now, a user will have to get an invite from someone who already has the payment facility. Once you get the invite, the user can activate the payment feature through the app settings. BusinessLine had reported last year that WhatsApp was looking at opportunities beyond messaging and video. Speaking to BusinessLine, WhatsApp Co-Founder Brian Acton had said in 2017 that the company was looking at how the platform can be used in the e-commerce and digital payments segments, among others. “I had a great meeting with IT Minister Ravi Shankar Prasad where we discussed a number of things, including how WhatsApp can be used for civic engagements, how WhatsApp could be used for e-commerce and digital transactions and payments. All these are in the space of opportunity for WhatsApp. We would continue to research, evaluate and figure out what we can build that best serves the people of India,” Acton had told BusinessLine in an interview. The company is expected to make an official post later today.